Our mission at Fusion Lifestyle is to make sure every child gets the opportunity to learn to swim in a safe, supportive and encouraging environment. We teach more than 46,000 children to swim with us every week and would love your kids to jump into one of our 90 pools today and learn to swim at our Fusion Swim School. Continuous assessment – no waiting for the end of term to move up! All our lessons are designed to increase water confidence and provide lifelong enjoyment of the water. 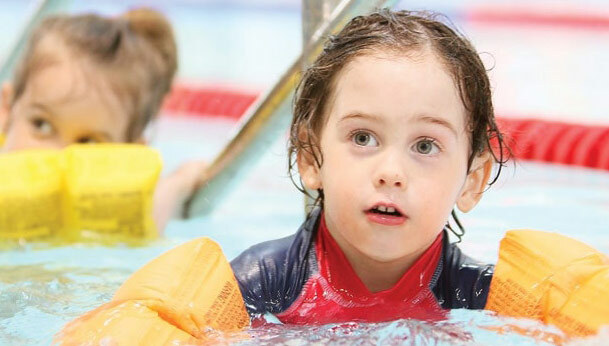 For more information about getting your child started with Fusion Swim School, simply click here to secure their place today. To check your child’s level and potential entry stage, click on the FAQs for a full breakdown of the programme. We are waiting to help with all your swimming needs, make contact with your local centre today.